The Infinite Well Remembers My Touch! Ron Lim goes all out with cosmic fireworks for the final showdown of Infinity War. While we couldn’t get into this series at all, despite being fans of Starlin’s older work, we do like a good light show. This series follows the events of Infinity Gauntlet. 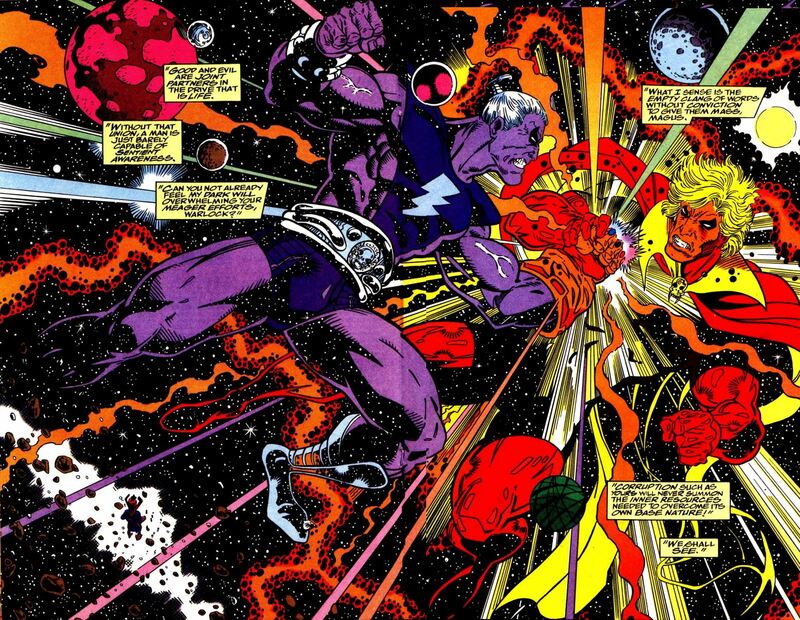 Jim Starlin brings back Thanos and Warlock for another struggle for the fate of the entire universe. Warlock’s evil other self, the Magus, intends to conquer everything. We would have preferred the Magus stay dead after all the trouble Warlock went through to make sure he never existed. 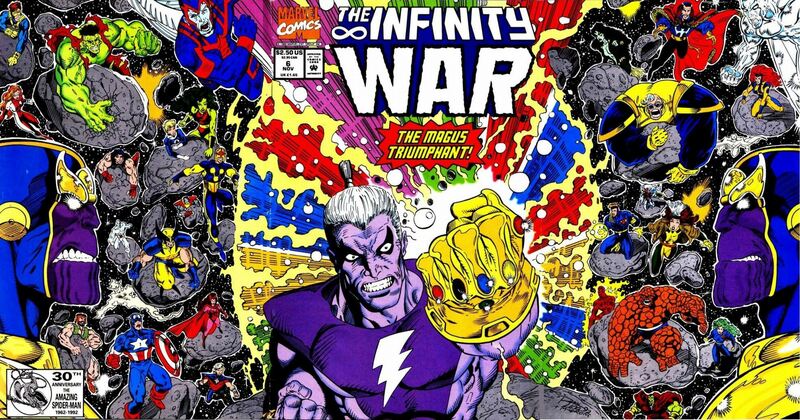 But, these Warlock/Thanos events proved too popular for Marvel to let the dead rest. And who are we to begrudge Jim Starlin the opportunity to cash in at Marvel with characters he revitalized or created in the 1970s? 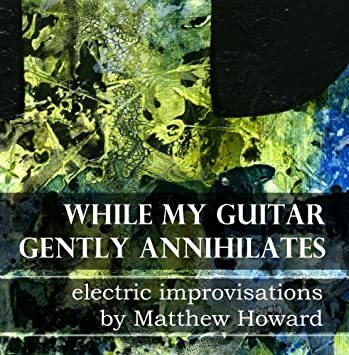 After the Metamorphosis Odyssey, he’d certainly earned the artistic right to crank out several volumes of standard superhero fare for a mainstream audience. – from Infinity War #6; Marvel, 1992. – reprinted in Infinity War TPB; Marvel, 2006.